Ashok Kamte studied at The Rajkumar College, Rajkot from 1972 to 1977. He won distinguished prizes while studying at Rajkumar College like ‘The Diamond Jubilee Prize for 1974-75’, ‘The Wynter Blyth Memorial Junior School Cup 1974-75 for Sports’ and ‘The Mwanza Cup 1976-77 for the Best Junior Cricketer’. Then he attended Kodai canal International School for five years, graduating from 12th grade with the Class of 1982. He completed his bachelor's degree from St. Xavier's College, Mumbai graduating in 1985 and post graduate degree in Arts from St. Stephen's College, Delhi from 1985 to 1987. An accomplished athlete Ashok Kamte represented India at the junior power-lifting championship in Peruin 1987. He was a respected power lifter, won six gold & silver medals at National level and broke three records in India. 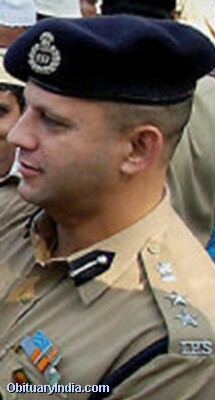 Ashok Kamte joined Indian Police Service in 1989. In 1991 he was posted as Assistant Superintendent of Police in Bhandara. During his service from 1994 to 2008 he was posted as Superintendent of Police, U N Mission Officer, Deputy Commissioner of Police and Commissioner of Police at various locations across Maharashtra. 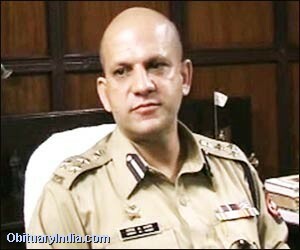 Later in June 2008, he was posted as Additional Commissioner of Police, East zone, Mumbai. 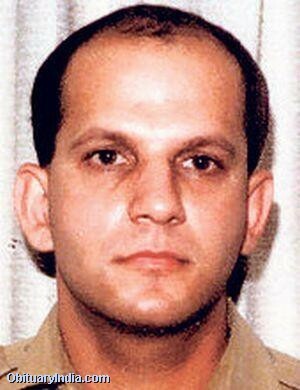 Daring, but with an exceptionally cool head made Ashok Kamte an excellent negotiator in crisis situations—a quality for which he was summoned late night on 26 November 2008 to deal with terrorists holed up in Mumbai buildings. In his police career, Kamte earned a substantial following of ordinary citizens as he took on hardened criminals as well as politicians with criminal background. Shortly after his taking over the Sangli police department, notorious criminal Raju Pujari was killed in a police encounter. It traces the life and career of this fearless officer who showed exemplary valor at his postings - be it at the Naxalite - affected Bhandara district, Satara, Sangli, Solapur or Mumbai. It also brings out the details of his life which would inspire many youngsters. 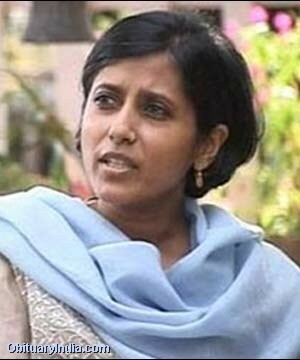 Kamte came into media limelight after an August 2007 incident in Solapurwhen he arrested Ravikant Patil, a three-time Member of the Legislative Assembly from Indi in neighboring Karnataka. Patil and his supporters were celebrating at the residence of Patil's brother Ravikant, a Shiv Sena leader. They scuffled when police tried to enforce the law against bursting of crackers late in the night. 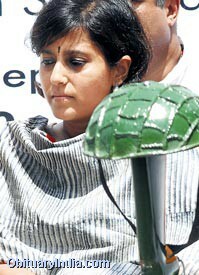 Kamte sustained hand injuries in the process of arresting Patil. Patil suffered multiple wounds. The incident created uproar in political circles but the people of Solapur supported Kamte. 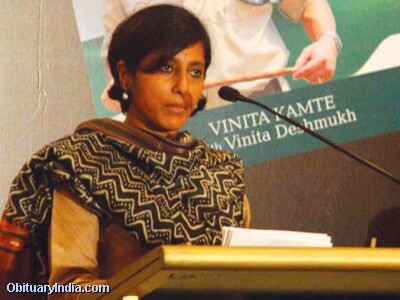 Kamte told the Times of India: 'Law is equal for all and nobody has the right to violate it'. During Mumbai's occasional communal violence between Hindus and Muslims, the areas under his supervision remained largely free of riots. He was known to be a secular officer and equally loved and respected by both communities. 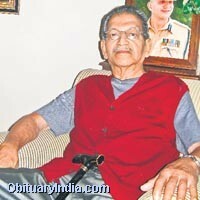 'He was a daredevil officer who had gained popularity matching a Bollywood hero. He himself was on the roads maintaining peace after the Khairlanji massacre. While other cities in the state witnessed violence, Solapur remained calm'. 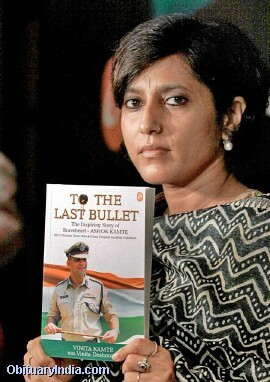 Kamte was one of the most respected and admired officers of the Mumbai Police force. 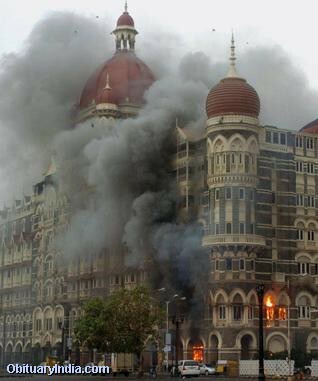 He was specially summoned on Wednesday night to deal with the terrorists who had laid siege to Mumbai. 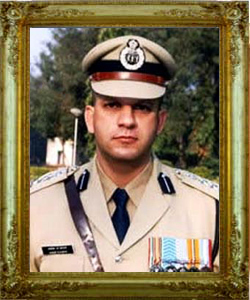 Ashok Kamte was killed in action by terrorists during the Mumbai attacks, on 26 November 2008 in a narrow lane between St. Xavier's College and the Rang Bhavan opposite Corporation Bank ATM just a stone away from Crime Branch office. As Mr. Kamte was known for his cool temperament and negotiation skills he was summoned when attack began. He was Additional Commissioner of East zone which was not under attack. 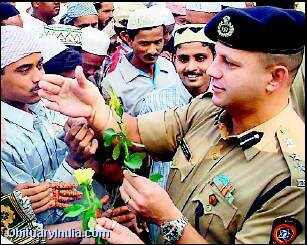 When he reached CST area he met ATS Chief Hemant Karkare and others. They took Qualis jeep from Azad Maidan Police Station (AMPS), Kamte himself took AK 47. When they reached rear entrance of the Cama and Albless Hospital (Cama) which is next to AMPS, Kamte fired at terrorists, to which the terrorists retaliated with hand grenade so Kamte suggested taking on terrorists from front entrance of Cama. By then the terrorists had left Cama sensing trouble. As the cops were moving they received wireless message that terrorists were hiding behind a red car in the same lane. At that time they spotted a terrorist running, Kamte fired, injuring him. He was Kasab lone terrorist captured alive later that night. As they were about to get down another Pakistani terrorist, Ibrahim Khan fired volley of bullets killing all but Asst. 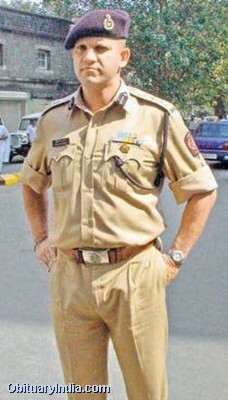 Police Inspector Arun Jadhav. Kamte was hit in the head although he was wearing helmet but no bulletproof jacket. Indian Express quotes statements by API Arun Jadhav, who was with the officers Ashok Kamte, Vijay Salaskar and Hemant Karkare when they died. The three officers and four constables had received information that Sadanand Date had been injured in the gunfire at the Cama and Albless Hospital for women and children. Currently located at Chhatrapati Shivaji Terminus (CST), a ten-minute drive from the hospital, they took a Toyota Qualis and proceeded in that direction. Kamte was in the passenger seat, Salaskar driving, Karkare in the second row, and the four Constables, including Jadhav, were in the back row of seating. According to Jadhav, five minutes later two terrorists stepped out from behind a tree and opened fire with AK-47 automatic rifles. Kamte was the sole officer who managed to retaliate, wounding terrorist Ajmal in the arm. The six policemen, other than Jadhav, were all killed quickly in the gunfire. The wounded Jadhav had no opportunity to render assistance. The two terrorists approached the vehicle, dumped the bodies of the three officers on the road and, leaving the constables for dead, proceeded to Metro Junction. Upon arrival, they aimed three bursts of automatic fire at police and journalist vehicles drawn up at that location, then drove off towards the government offices (Vidhan Bhawan) in South Mumbai. Here again they fired several times. While attempting to leave the area, one of the tyres of the vehicle burst, so the terrorists departed to obtain another. At this point, Jadhav was able to contact headquarters. The bodies of the dead were promptly recovered and taken to St George Hospital. Nearly 3000 people turned up to pay their respects to Additional Commissioner of Police Ashok Kamte who was cremated in Pune with full state honors. 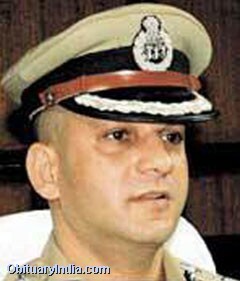 The body of Additional Police Commissioner Ashok Kamte was cremated with State honours at the Vaikunth crematorium on 27 November 2008. A large number of high-ranking police officers participated in the funeral procession, including: Police Commissioner Satyapal Singh, Joint Commissioner of Police Rajendra Sonawane and district collector Chandrakant Dalvi. Vinita Kamte's search for truth of the circumstances that led to the death of her brave husband who sacrificed his life for the nation is heart-rending. Vinita fought a tenacious battle along with her twin sister Revati to get to the truth - for which they also invoked the Right To Information Act (RTI) to understand the chronology of the events of that fateful night. The story answers many questions, but raises many more. The book promises to move your heart as it reveals the dynamic career of this brilliant officer who was also a great human being. ACP Ashok Kamte is remembered by his friends at the IPS Academy, Indian Citizens, journalists that interacted with him as one of the bravest officers, ready to face any challenge in the line of duty as well as a great human being'. May God give peace to his holy soul!